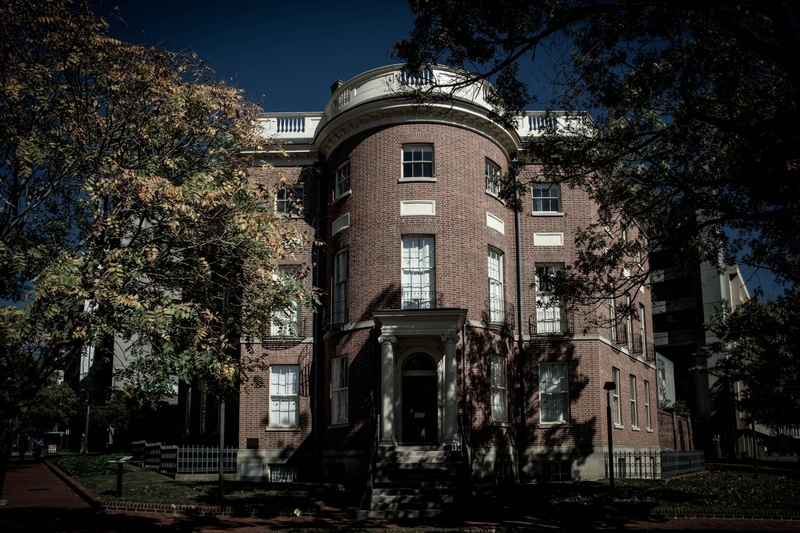 Haunted historians, would-be paranormal investigators and Halloween enthusiasts at the George Washington University are in luck: Washington, D.C., has more than its share of local ghost stories. For the Halloween season, GW Today rounded up the spirited history of some of the eeriest places in the nation’s capitol. Scroll down…if you dare. 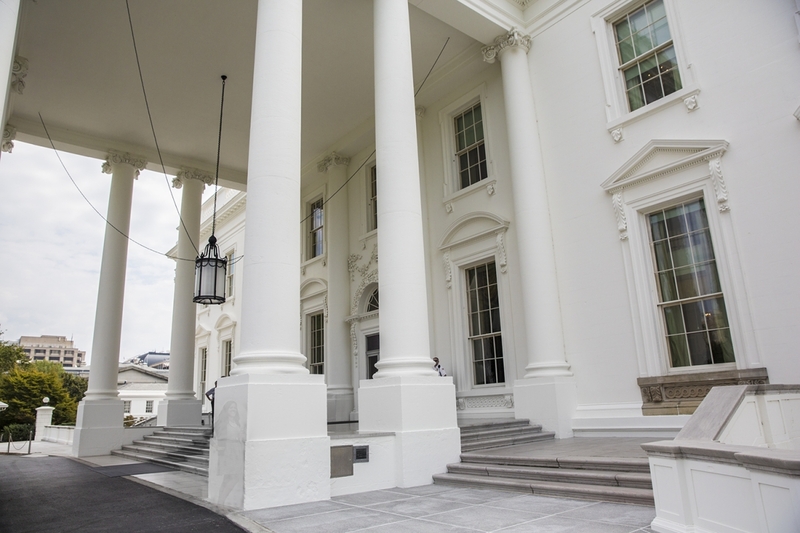 Reports of ghosts at the White House are legion. “The damned place is haunted sure as shootin’,” a creeped-out President Harry Truman wrote to his wife in 1946. 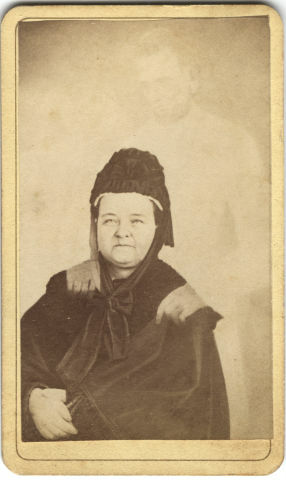 Mary Todd Lincoln, an enthusiastic spiritualist, is said to have heard Thomas Jefferson playing the violin in the Yellow Oval Room and Andrew Jackson stomping and cursing in the Rose Room. Winston Churchill, during his visits in the 1940s, never liked sleeping in the Lincoln bedroom… During one visit, after taking a hot bath (accompanied by a glass of scotch and omnipresent cigar) he emerged from the tub and strolled naked into an adjoining room where he ran right into Lincoln, who was leaning on the mantle above the fireplace. They looked each other in the face. Churchill was embarrassed. Lincoln simply vanished. “The Octagon House has long had the reputation of being haunted,” author and socialite Mary Clemmer Ames wrote in 1873. This looming mansion, where James and Dolley Madison lived after the White House burned in the War of 1812, still retains its title as “the most haunted building in D.C.” Reported paranormal manifestations include poundings on the wall, floating spectral lights and the inexplicable jangling of servants’ bells: “It is an authenticated fact, that every night, at the same hour, all the bells would ring at once,” Ms. Ames wrote. Unfortunately for would-be ghost hunters, historians have debunked the enduring legend that two members of the original builder’s family died in the house. But that’s no guarantee that they haven’t returned to walk its halls. Commodore Stephen Decatur was a war hero and even a speculative presidential hopeful when he built this stately town house, the first private residence in the White House neighborhood. But only 14 months after moving in, he was challenged to a duel and killed. 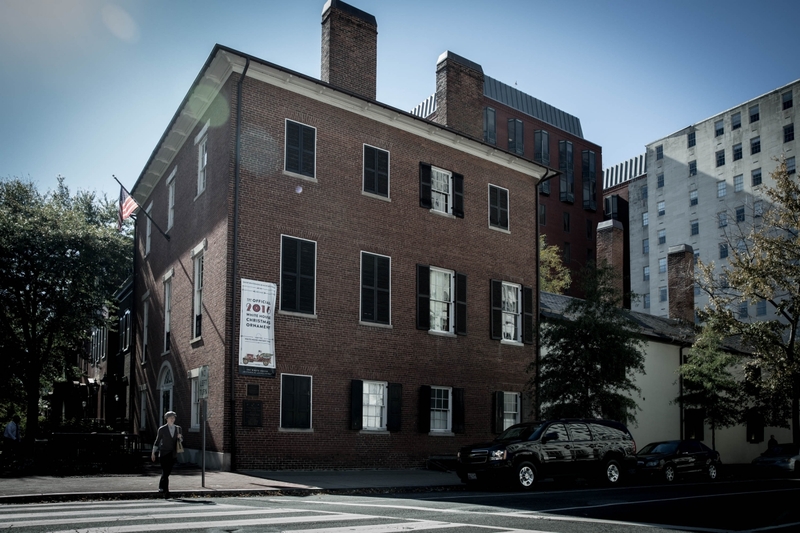 Two hundred years later, the spirit of Stephen Decatur is said to gaze out of a long bricked-up window on the second floor. Some report that empty rooms echo with the sound of a woman sobbing—a woman presumed to be the commodore’s grieving widow. In its 100-year history, the elegant Hay-Adams Hotel has hosted luminaries from Amelia Earhart to Angelina Jolie. The Obama family stayed there prior to the 2009 inauguration. With living guests this distinguished, it’s understandable that staff are discreet on the subject of hauntings. 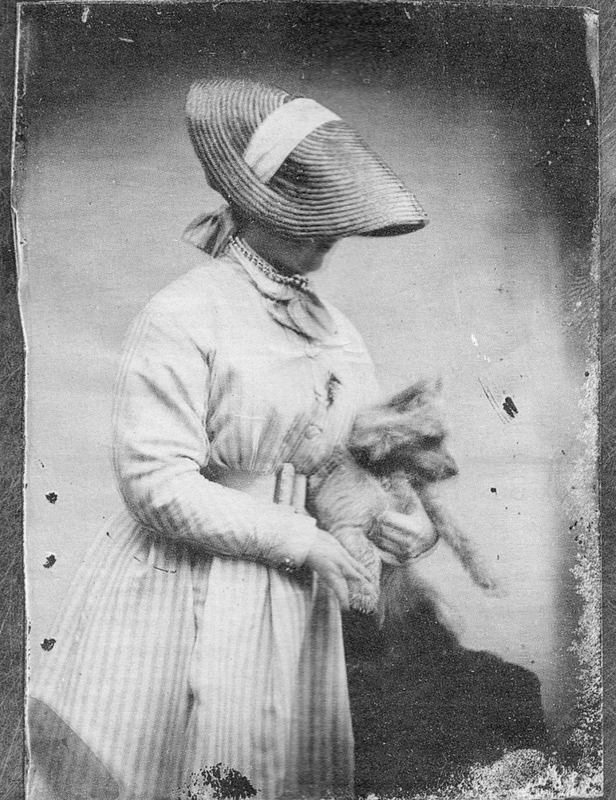 The hotel’s rumored apparition is Marion “Clover” Hooper Adams, a photographer who committed suicide using the darkroom chemical potassium cyanide at the age of 42. 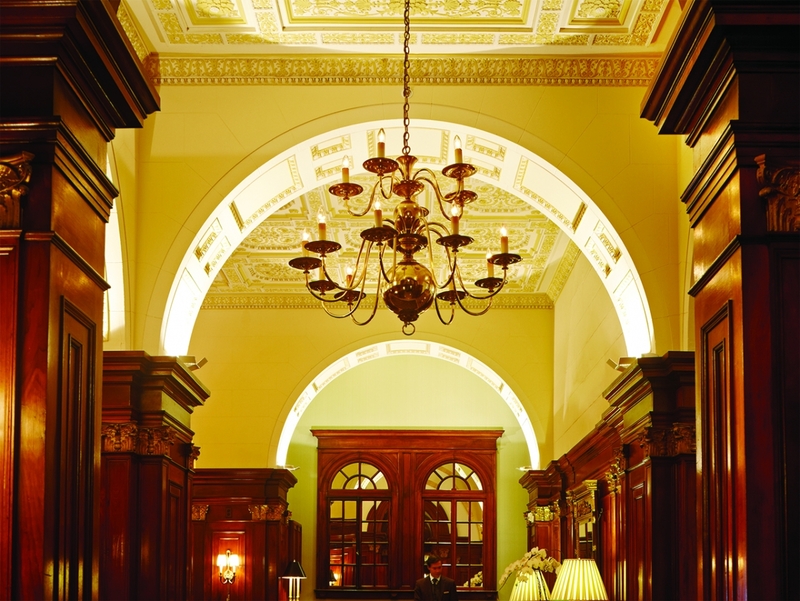 The chandelier at the entryway to the Hay-Adams Room is said to sway, and a scent of almonds—or cyanide?—supposedly lingers in the halls. 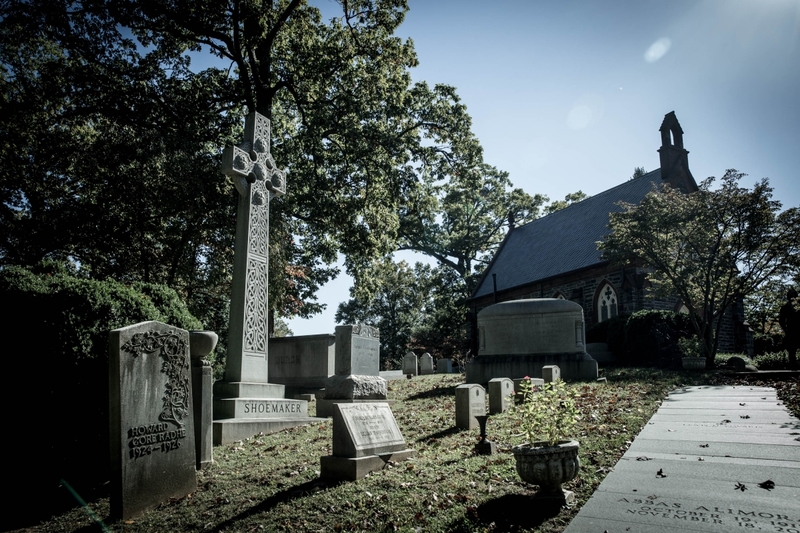 More peaceful than creepy, Oak Hill is the final resting place of many Washington notables, including Washington Post publisher Philip Graham and William Wilson Corcoran, founder of the Corcoran Gallery of Art. It also houses the less well known but equally admirable Jacob Fussell, who opened the United States’ first wholesale ice cream house in 1851. Oak Hill Cemetery also is the setting of George Saunders' Man Booker Prize-winning "Lincoln in the Bardo." The novel centers on the ghost of Abraham Lincoln's 11-year-old son, Willie, who was briefly interred here before being moved to Springfield, Ill., after his father's assassination in 1865. 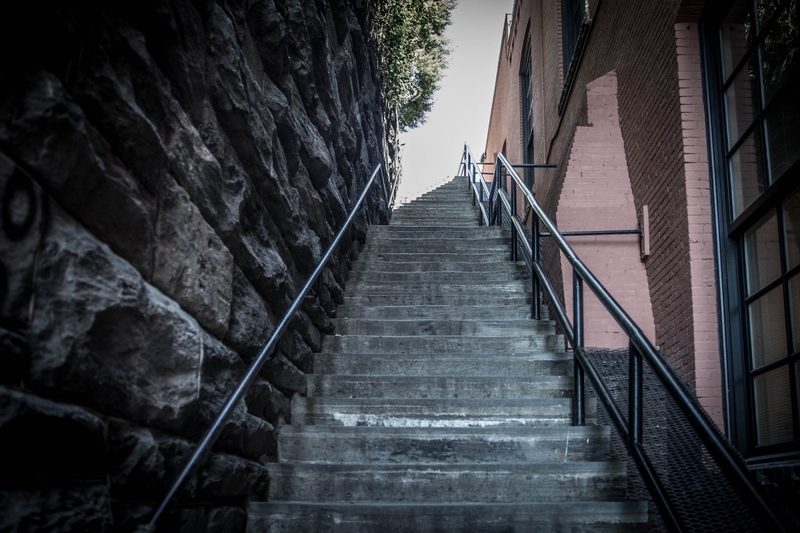 A major character meets his end on this precipitous stairway in the iconic 1973 film “The Exorcist.” Accordingly, it’s a pilgrimage site for horror fans—and athletes, many of whom get their cardio fix sprinting up and down a rise equivalent to the height of a five-story building. During filming, according to Elizabeth Tucker’s “Ghostlore of American College Campuses,” Georgetown University students charged would-be spectators five dollars to watch a stuntman fall down 75 steps (fortunately padded with half an inch of rubber). 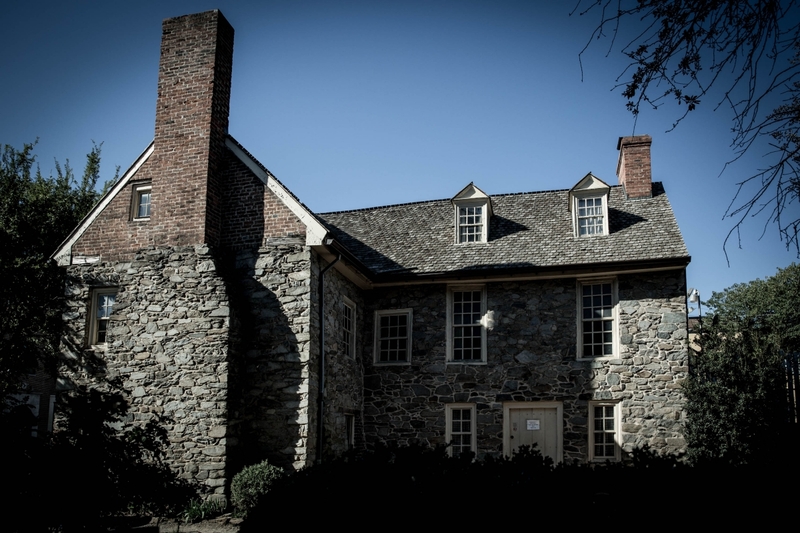 The Old Stone House also is rumored to contain of one of D.C.’s few malevolent spirits. Known as “George,” it supposedly travels the third floor in an ominous cold spot and is said to have choked and pushed visitors. 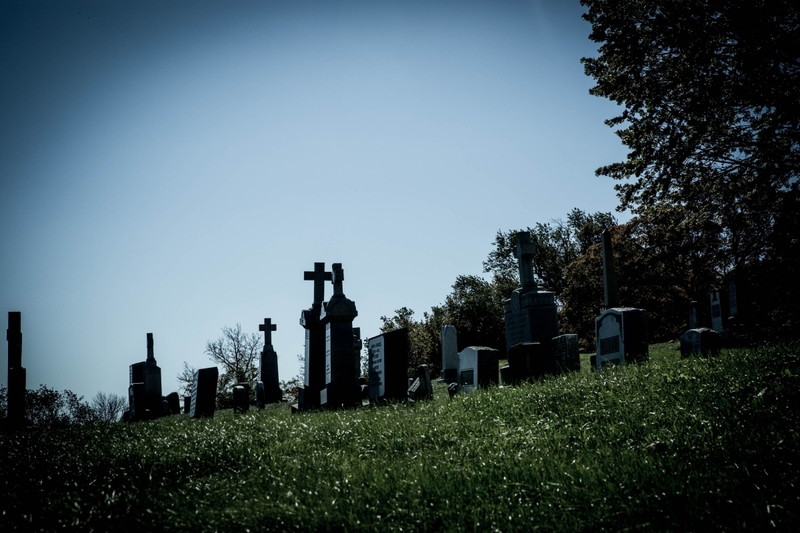 The 176-year-old cemetery now known as Holy Rood has fallen into disrepair, but remains one of Washington’s best-documented burial sites for slaves and free Catholic African-Americans. H Street and Jackson Place, NW. These days Lafayette Square, directly in front of the White House, seems a more likely site for a protest than a ghost. 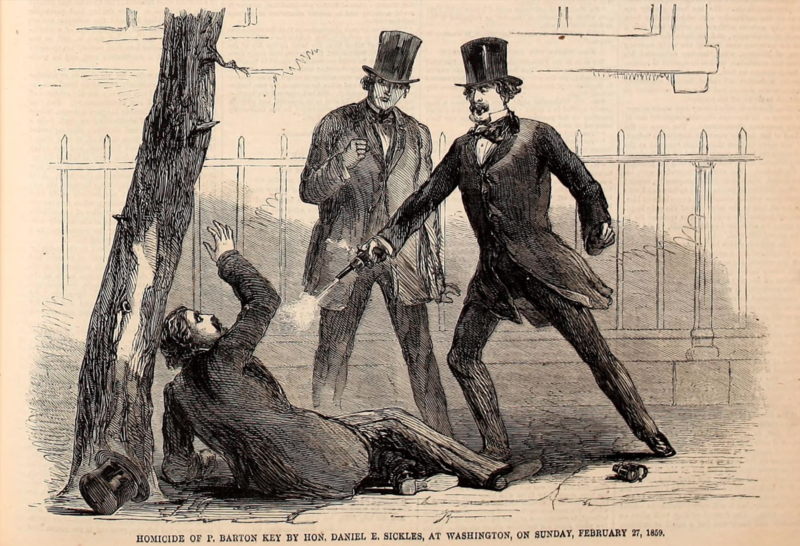 But in 1859 the square saw one of D.C.’s most notorious slayings—committed in broad daylight by a sitting congressman. U.S. Rep. Daniel Sickles (D-N.Y.) was notorious in his time for his extramarital dalliances. But when he discovered that his much-younger wife was having an affair of her own with Philip Barton Key, district attorney of the District of Columbia and the son of “Star-Spangled Banner” composer Francis Scott Key, he became enraged. According to a contemporary account, when Mr. Key passed the Sickles’ Lafayette Square house waving his handkerchief, Mr. Sickles—who believed his rival was making another adulterous overture—charged out and shot him twice. Philip Barton Key’s ghost, meanwhile, is said to appear in Lafayette Square between 15th and 16th streets, where he was shot. 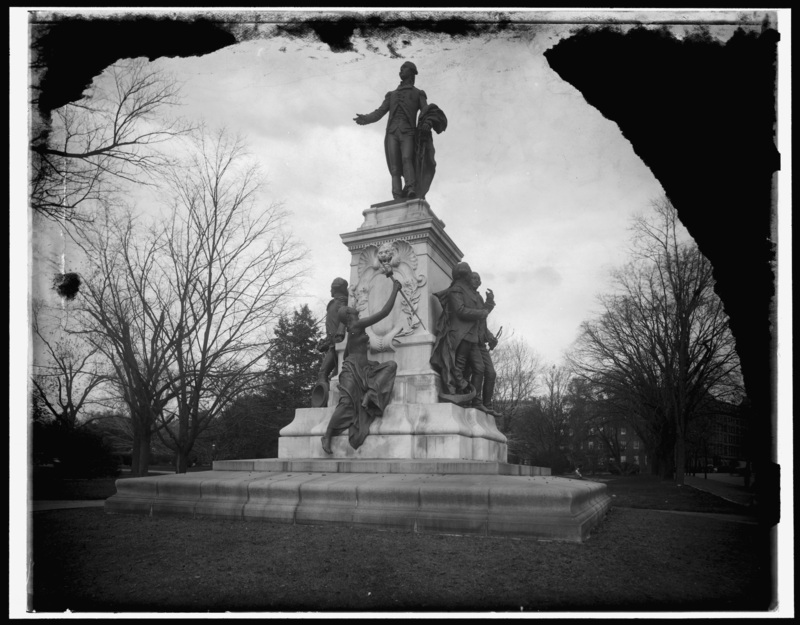 According to the National Directory of Haunted Places, the apparition revealed itself in 1865 to Secretary of State William Seward to warn him of an upcoming assassination attempt. 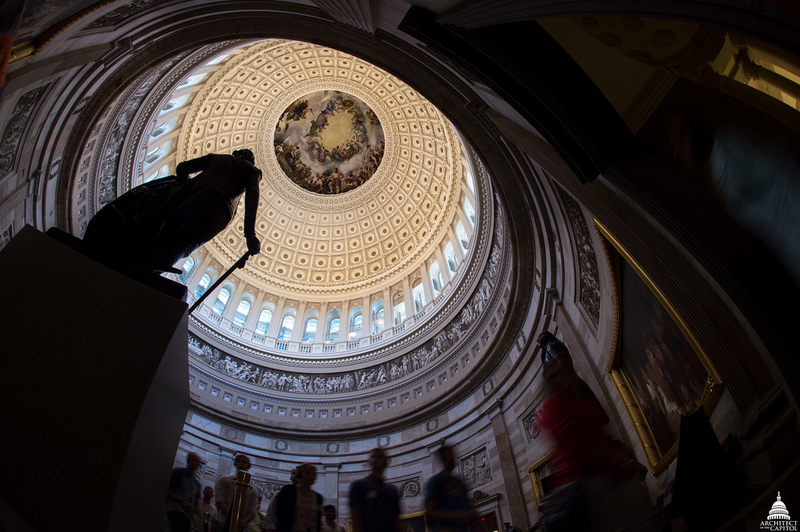 Like the White House, the Capitol has seen too much history to be free of speculation about ghosts. Among its phantom inhabitants are said to be assassinated President James Garfield, architect Pierre Charles L’Enfant and John Quincy Adams, who had a stroke mid-speech on the floor of the House of Representatives and died two days later in an adjoining room. Capitol workers still report hearing him straining to finish the speech interrupted by his death. Some of the Capitol’s specters aren’t even human. A “demon cat” supposedly prowls the 200-year-old building in times of national crisis, growing to enormous size and then vanishing.